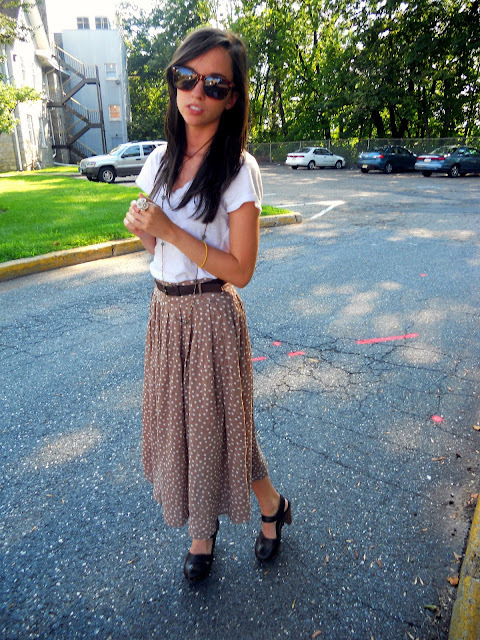 Finally got the maxi skirt that I have been wanting. It fits perfectly too so I am pleased! 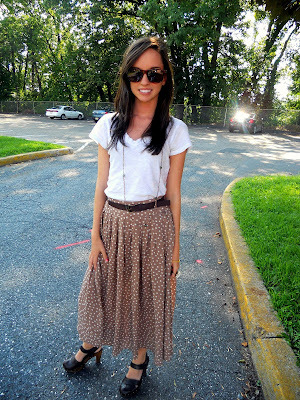 Since this was the first time wearing this skirt, I wasn't too daring with what I paired it with. I thought that the basic white v-neck was a good place to start, but I am definitely excited about pairing this skirt with some different pieces and dressing it up and down. Also, yes, I am well aware of my forever 21 addiction. They say that admitting you have a problem is the first step. Maybe you'd check my blog out too?